crafting with katie: My First E2 Card! The Cricut Expression 2 Anniversary Edition that I won in the Facebook Cricut in the Classroom Contest has arrived! Thank you, Provo Craft and everybody who voted for me! I absolutely love it! This machine cuts like a dream! I was thrilled to get the anniversary edition, because I really wanted one of the preloaded cartridges, Just a Note. This cartridge is filled with adorable tri-fold cards. I began by cutting my card base at 5 1/4" on double-sided patterned paper. All of the layers are also cut at 5 1/4". I am so impressed with how well the E2 cuts my favorite Papertrey Ink cardstock. I just chose the "heavy paper" setting. What a great idea to have all of these presets for different cutting materials! Before adhering the phrase, I gave it some white stitching. I also added a button and twine that coordinate with my paper colors. 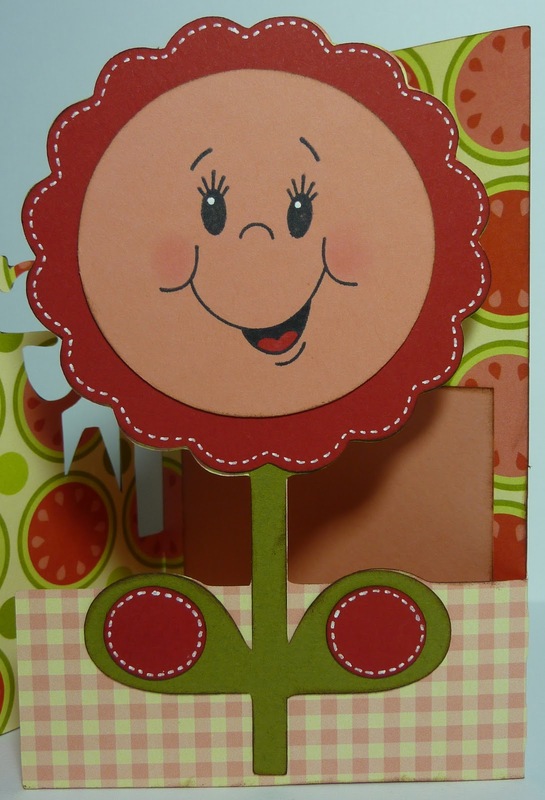 For the flower, I didn't use the flower card layer that cut out with the face. Instead, I cut the plain circle in "layer 1" and used a Peachy Keen stamp with it. Here's the inside. 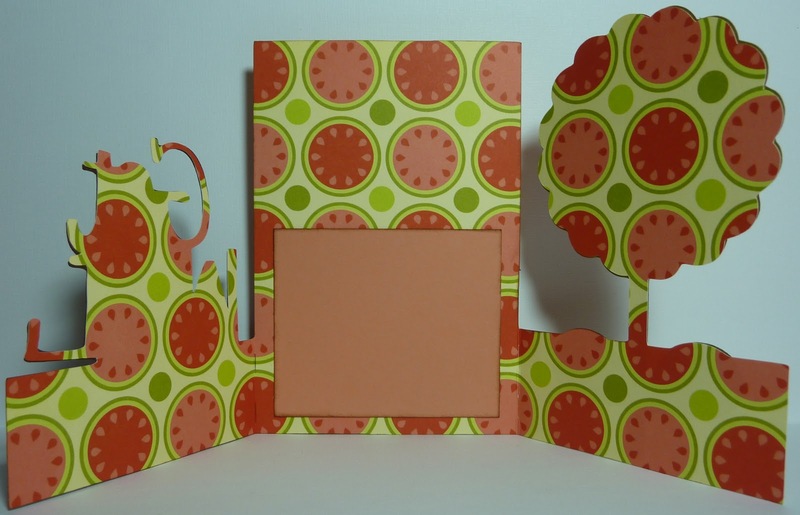 I added a piece of melon cardstock for writing a note. Wow, such a beautiful card! so so so so soooo stinkin cute! :) Congrats on your win! That's such a sweet card. I love the button accent for the letter o on soon. Congratulations on winning the E2! What a wonderful card! You are putting that E2 to great use! So happy for you!! i love my Anniversary E2, The just a note cartridge is the best!! 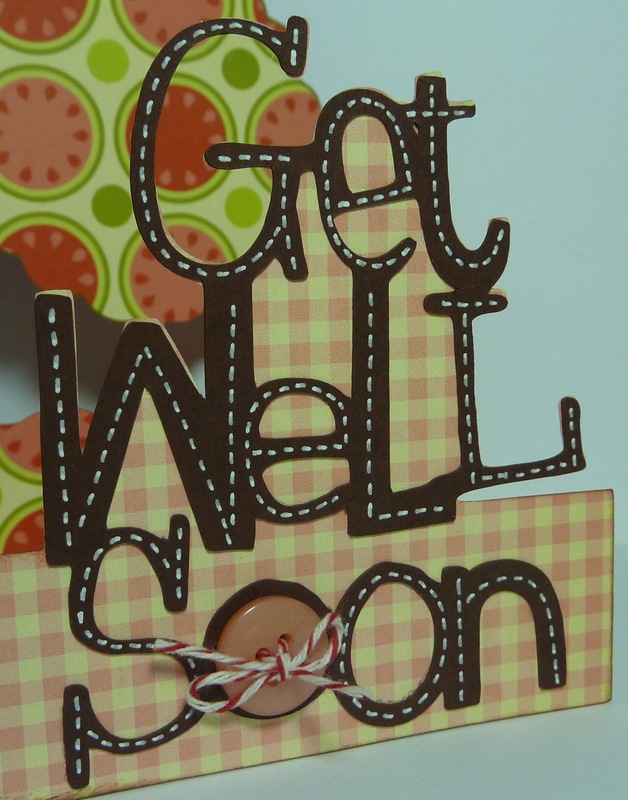 Love the card you made with, look forward to seeing more creations with it!! Congrats on your win!!! I was lucky enough to win one several months ago with the monthly Circle Challenge - and I LOVE it too! You will have so much fun!!! Congrats on your new E2. Looks like you have mastered it already! FUN & FABULOUS! love the button in the O! Thanks for sharing your card and you are so lucky that you won!!! Congrats again. Awsome card, and congrats on your win!!! OMG...I just love this card! It's so cheery and the papers are great! I love it so much. Your so lucky you must be having an amazing time with your new machine. Wow, cute card; you did a great job. Congrats on your new E2! 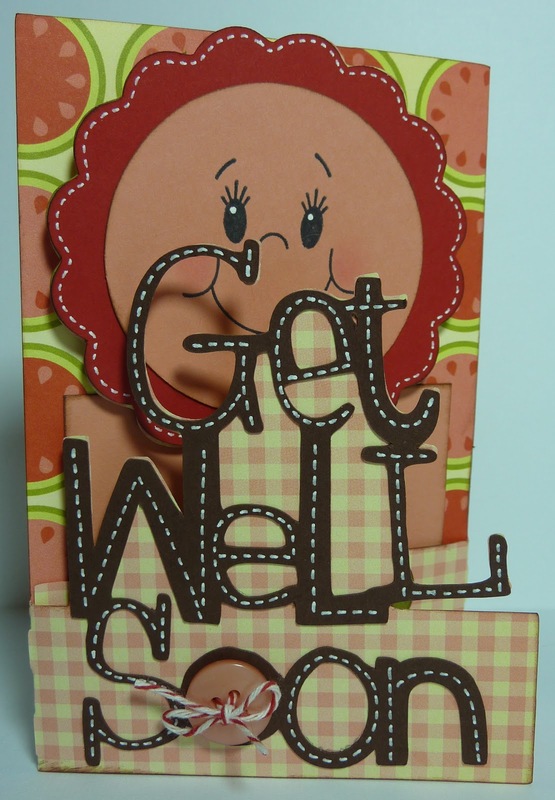 !--Pat N.
Love this cute card! I also just got an Anniv. E2...haven't been able to use it yet, but am so glad to hear you won yours and love it! This is SO CUTE!! I love the colors and patterns you chose! Way to rock it, Katie!! That is perfection! I envy you the ability to put together those 3-D cards, mine are never that cute.